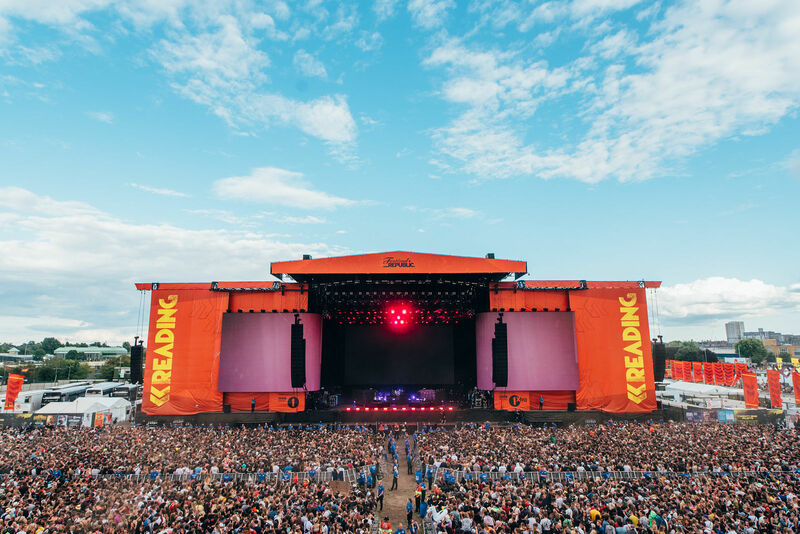 Reading Festival 2018 hosted a magnificent weekend full of music entertainment featuring sets from Kings Of Leon, Fall Out Boy, Kendrick Lamar, Panic! At The Disco and hundreds of the world’s biggest artists, bands and DJs. Reading worked with Safe Gigs For Women, The Samaritans, and medical teams to ensure happy and healthy festival-goers across the weekend. Safe Gigs for Women is an initiative established by regular gig goers with the aim of creating a safer environment for people at music events. New to this year, safe hubs were staffed by the British Red Cross and Festival Angels in campsites - serving as a safe and confidential space for festival goers seeking support from volunteers. Fall Out Boy delivered a career-spanning hits-filled set on Friday. From fan favourites Dance, Dance, Thnks fr th Mmrs, to the chart topping Centuries and new songs from their latest album MANIA. Pulitzer Prize winning rapper and global superstar Kendrick Lamar returned on Saturday with an unstoppable explosive set of songs. Kung Fu Kenny raged through hits from critically acclaimed DAMN to a legion of fans, leaving no doubt that any naysayers should “sit down and be humble”. On Sunday - Slaves, The Vaccines and The Courteeners delivered first class iconic rock 'n' roll shows of the genuine unforgettable kind. It was also Kings of Leon's big day and time to return to Richfield Avenue headlining the Main Stage for their second time. They gave a slick marathon set before bringing the weekend of music at Reading to a close. Post Malone’s huge set lived up to the hype, with hits including Rockstar and Congratulations, the as equally adored singer as he is tattooed artist, put a lot of smiles on faces at the Main Stage. 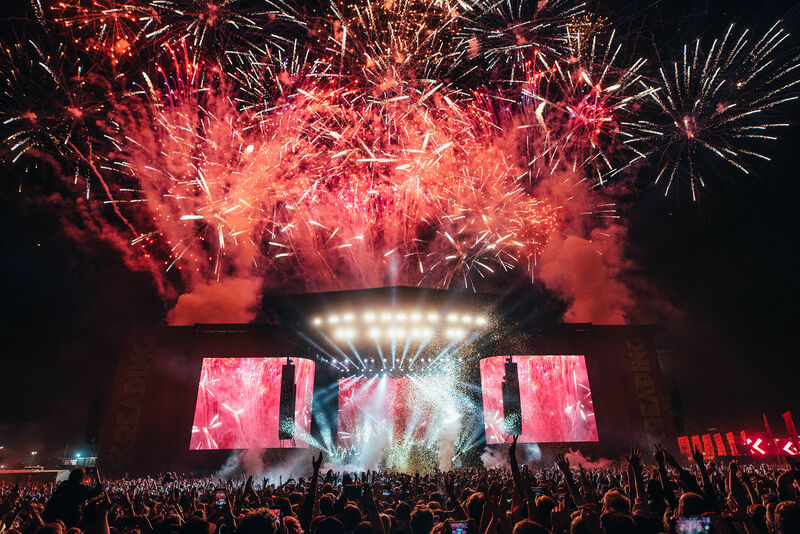 Superstar DJ Diplo had the BBC Radio 1 tent jumping with an incredible visual and pyrotechnic display, whilst global sensation and New Rules hit maker Dua Lipa wowed the crowd with her empowering imaginative pop. Panic! At The Disco had frontman Brendon Urie giving a vocal masterclass with his theatrical emo-pop stage show. A powerhouse of pizazz he commanded the Main Stage, paying homage to the band’s first Reading and Leeds appearance in 2007 with I Write Sins Not Tragedies and led the mass singalongs with a stunning cover of Queen’s iconic Bohemian Rhapsody - before going out with a bang with a visual spectacle firework display. As well as playing their own hits SUM 41 were also heard playing homage to their heroes with a rocked-up version Queen’s We Will Rock You. Reading was jam packed with and full of special moments throughout the entire weekend including Linkin Park member Mike Shinoda joining SUM 41 on stage for an emotional tribute performance to Chester Bennington with a cover of Linkin Park’s Faint, as well as his own set. In Reading, Radio 1’s Scott Mills and Chris Stark joined the choir for Deaf Havana’s spectacular set, Brockhampton owned the stage and Mercury Music Prize nominees Wolf Alice showed us what we already know, they are one of the most talented current rock bands in the UK just now. BBC Radio 1 and BBC 1Xtra presenters Greg James, Mollie King, Matt Edmundson, Jordan North, Maya Jama, Charlie Sloth, Clara Amfo, Dan P Carter and Huw Stephens were on the ground at Reading broadcasting live and bringing mischief and fun. Keep an eye on @BBCR1 throughout this week. All the while, the Festival Republic Stage stated its reputation for hosting some of the hottest talent including the likes of Kate Nash, Pretty Vicious, The Horrors, Death From Above, Spring King, Dream Wife, Hinds, Yungblud and many more. Matching that was action on the Pit stage from Milk Teeth and Black Foxxes. 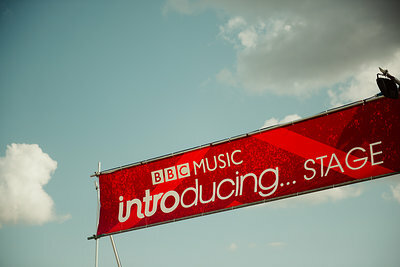 BBC Music Introducing Stage presented Reading with a captivating lineup brimming with new talent. Despite conditions of heavy rain, headliners The Blinders are impeccably intense, as charismatic and energetic as usual. Bedford's finest The Scruff and guitar wonders Himalayas from Cardiff know how to give strong accounts of themselves and their music, as they have been doing all year. Equally fascinating are Beach Riot, Lady Bird and The Dunts. Reading is famous for lining up secret sets, attracting the world’s most sought after acts and this year didn’t disappoint and Bring Me The Horizon made an unexpected and triumphant return to the stage. The atmosphere was electric in the packed-out tent - they slammed through their greatest hits and new track ‘Mantra’ which sees the Sheffield band right on track as the world’s true rock crossover act. Frank Carter and The Rattlesnakes also performed in a secret set and their performance saw the lead singer, Frank Carter, doing a handstand as he crowd surfed into the audience. Elsewhere The Wombats, The Magic Gang and Peace took to the BBC Music Introducing Stage for special, intimate sets. Reading and Leeds Festivals 2019 tickets will be on sale Friday 31 August at 1 pm.